Nikolai Chernyshevsky: What Is to Be Done? The new IAC building in NYC has now been completed - and New York has its first free-standing Gehry work of art. Being a simple admirer of beautiful things, I always wonder at the creative process that goes into creating something so amazing as this new building. In the June issue of Vanity Fair, Todd Eberle has contributed his photographs of the 'historic finished product'. 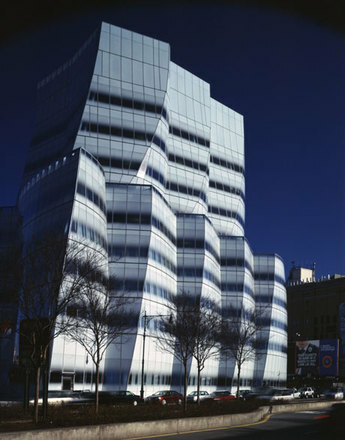 You can see more images of the building as well as a virtual tour at the IAC Building website. I'm loving Ella Doran's designs right now. Based in the UK, Ella has been establishing a huge following. 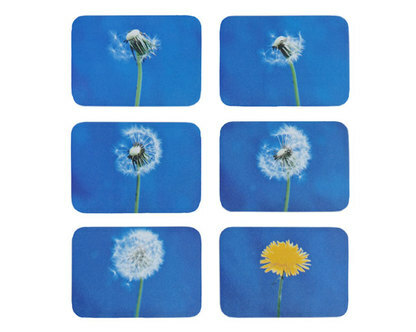 Last year, her coasters were chosen for Elle Decoration's Top 100 British Iconic Products. 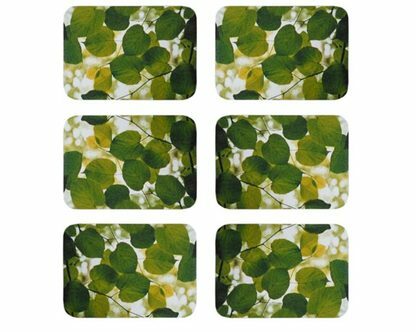 I found these tablemats on Hidden Art.com, which has a lot of other great products. 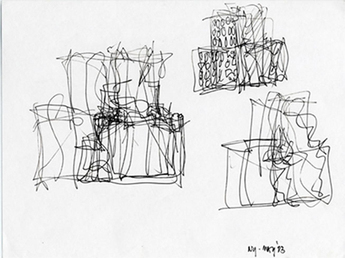 Click here for Ella Doran's website. 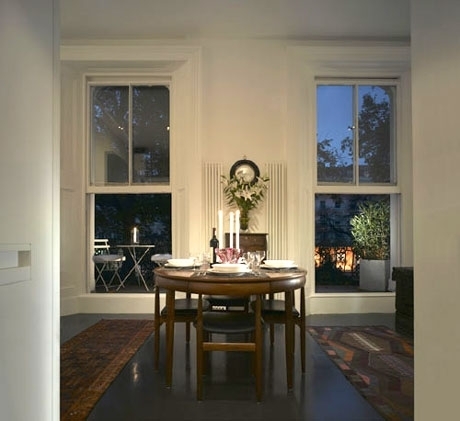 I was looking through Apartment Therapy's Smallest Coolest Apartments 2007 contest and came across this entry from London that completely blew me away! Can you BELIEVE this apartment is only 300sqf? Being a tiny-apartment-dweller myself, I find the incredible organization and multi-purposeness of the place just amazing. You can find out more about this entry here. Florence Maud Broadhurst (1899-1977) was one amazing woman. Born in rural Australia, Florence became a vaudeville performer, a women's academy owner in Shanghai, an artist, patron of the arts and an internationally renowned designer of wallpaper. In 1977, Florence was murdered in her home. The crime was never solved and no motive was discovered. Florence Broadhurst's wallpaper is probably her greatest legacy. 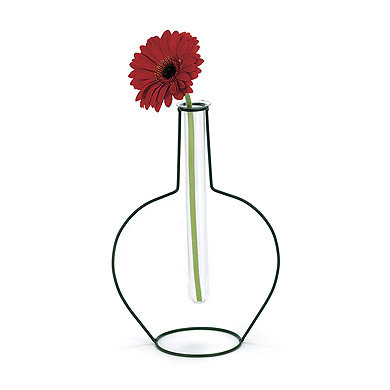 By the early 1970's, her company had produced well over 800 designs of various finishes and colors. Some of the patterns, which were acquired by Signature Prints, are still in use today - in wallpaper as well as high fashion and home goods. Her colors are lively, invigorating and interesting. They seem as new today as they were half a century ago. Signature Prints has a very nice bio of Florence and a wonderful collection of her prints. You can find them here. Many of the prints (such as the flowing horses on the right) come in a variety of colors so you can match them to your general theme. You could put that in practically any room in your house. I'd love it for a nursery, or a sun-filled dinning nook. How delicate. Last year, Helen O'Neill published Florence Broadhurst: Her Secret and Extraordinary Lives. The book features over 100 of Broadhurst's prints and has gotten great reviews.... It's been added to the top of my Amazon wish list! and a little bit more about ME!